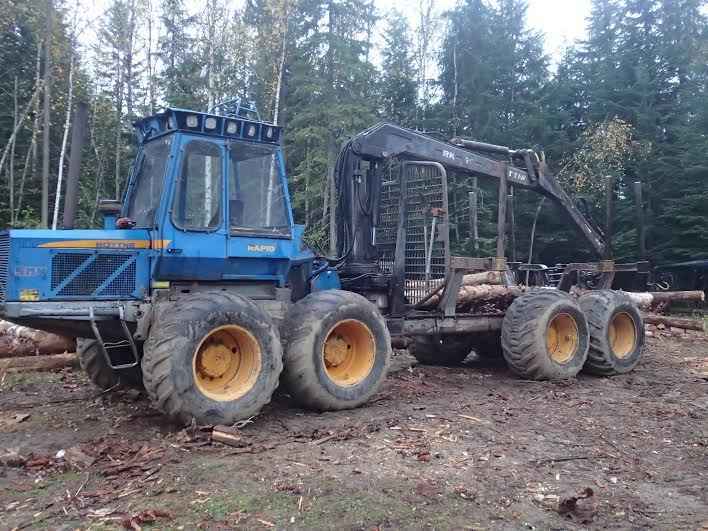 2011 Rottne F15 Double Bunk 8 Wheel Forwarder. Hour meter reads 8,566 hours, John Deere engine, runs and starts good, new head and EGR, heavier head studs, all gaskets replaced less than 1,000 ago, Webasto pre heater, engine hydraulics and cab. Complete crane tower updates have been done, double squirt boom, SuperGrip grapple, strong hydraulics and cylinders. 2 new tires 710, the others are @ 75% with set of 5/8 DD chains. Heat, A/C, & lights. Contact Aaron @ Red Pine Equipment 218-720-0933. Machine is located in Northcentral USA. 1989 Rottne Rapid 6WD 12 Ton Forwarder. 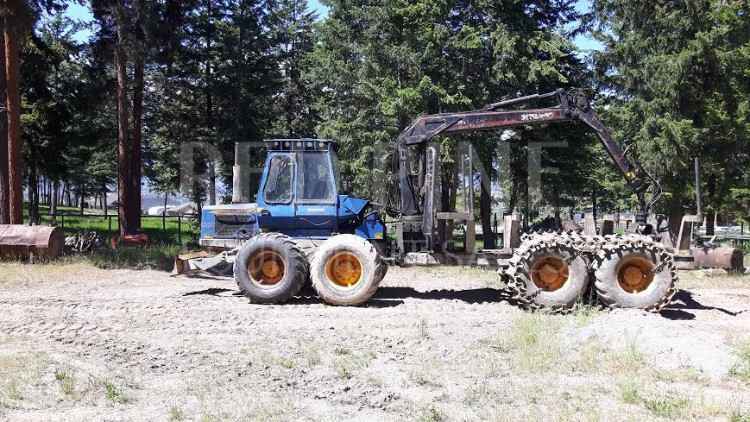 This equipment has a 4 cylinder Ford/New Holland engine, runs and starts good. Has around 22,000 hours. Hydrostatic pump and motor were replaced around 6,000 hours ago. Has brand new 600 mm front tires and brand new air compressor for braking system. Has tracks for rear bogies, newer hydraulic oil cooler. Also has a brand new Red Dot air conditioner system. Valve bank will be resealed. Contact Erik @ Red Pine Equipment 218-720-0933. Machine is located in Northeast USA. 2003 Rottne SMV 8 Wheel Forwarder. This machine has 500 hours on a new John Deere engine, has had many updates, strong hydraulics, good cylinders, front end was just re-done, strong bogies, tight boom and grapple, 700 tires, 2 are new, the other 3 are @ 70%, two sets of good tracks, heat. A/C, and lights. Contact Aaron @ Red Pine Equipment 218-720-0933. Machine is located in Canada. Like new inside and out. Included with the sale is one set of tracks. Tier 3 John Deere 6068 Engine. No def fluid!! 5,786 hours. Sure Grip Model 360 bucket. Serial number for the forwarder is R82901. 3 speed Hydrostatic transmission. Heat, AC, and Deluxe interior. Pre Heater. 710/45/26.5 rubber in excellent condition. Squirt boom.